Articles continue to be written about film vs. digital. Another was in The New York Times last week. 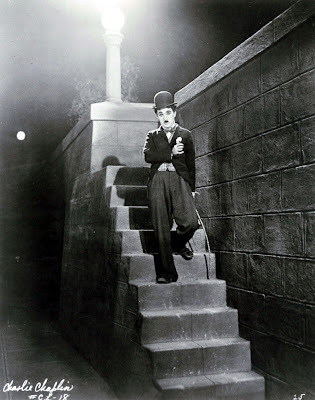 For me, the debate was settled twelve years ago when I walked into a screening at the Columbus Cinevent and realized that the stunner image of Chaplin in City Lights was actually a projected DVD. That was the day film ended for me and liquidation of a 16mm collection began. I would hear arguments from there about the integrity of celluloid and tactile pleasure derived from handling it (tactile for me amounted to having fingers sliced open more than once while editing). Many collectors and lifelong film gatherers felt themselves discarded along with precious footage to which so much effort and expense had been devoted. 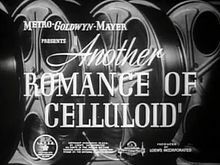 Yes, there was a romance of celluloid, to quote that title of MGM's one-reel series from the late 30's. There was also exclusivity in owning prints available to seemingly no one else (ego and pride of ownership had a lot to do with collecting impulse --- guess it's that way with butterflies and bottle caps as well). Movies can never be collector items so long as they are mass-produced for disc sale, let alone streaming, or as downloads. I welcome the triumph of digital for convenience and ready access to shows I never before dreamed of watching at home. Paramount was out this year with its centennial Blu-Ray of Wings, a presentation stunning beyond any I'd seen of a silent-era feature. Long ago and thankfully far away was the 16mm print of Wings I once owned. Hard-got from a collector who'd sat years on it, this cost upwards of $300, due to length (over two hours) and rarity. 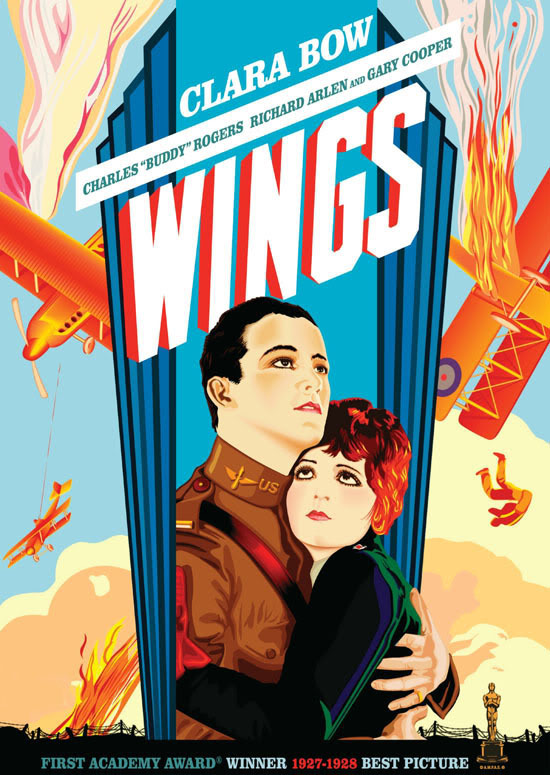 Paramount had not released Wings on film for home use, so there was forbidden fruit aspect in acquiring it. What I got for the pile invested was then better-than-average quality (purest murk today beside the Blu-Ray) and no music accompaniment. The latter wasn't expected, as most 16mm silent movies were just that, trackless and not scored. A friend sent me a cassette recorded at a Wings showing with Gaylord Carter at the Wurlitzer. Fair enough and much appreciated, but how to synchronize his tape with the print I was showing? Variables such as projection speed, reel change breaks, flipping sides on the cassette ... all requiring slide rule precision and better organizational skills than mine. After one bungled play, I gave up and relied on chance that incidental piano music on LP would pull Wings across (audiences then more indulgent of non-pro effort by home hobbyist me). It's easy to bail out of film when you're not much good at mechanics of it. Friends could repair projectors and match frames perfectly on an editing bench. Changing exciter lamps was as climbing Everest for me. Digital was the rescuer I longed for. Video cassette arrival in the late 70's foresaw a new day, but these were viewable only on still-analog TV, and compared not with original prints in 16mm. Laser discs and rear-projection systems on which to play them would tighten the contest (indeed, many film collectors bailed at this point), but purists could still argue celluloid's superiority. What stuns me looking back is time and herculean effort it took to acquire and make ready what might then pass as a quality show in 16mm. One example of the race collectors ran was The Quiet Man. The only way to decently have it was on dye-transfer stock printed by Technicolor, the term "IB" shorthand for this most desirable of 16mm formats (an eastman print, even if a so-called "original," would be pinkish or headed that way, and even uglier than Quiet Man DVD's currently in release). The trouble with any Technicolor print was its physical condition. Most had seen wear, none had been printed since at least a first half of the seventies, which were final days during which the dye-transfer process was stateside-used (notwithstanding an attempt at revival some years later). You had also to deal with unstable registration from one ten-minute section to the next. 16mm printing could be careless in this regard and colors didn't always line up. Unless you had a Quiet Man brand new and kept that way from Technicolor labs (there were several in the hands of collectors other than myself), you could depend upon fixer-uppers where a best procedure was to acquire multiple prints and piece together a best compilation from intact sections of each. This could take days and better eyesight than I now possess. Even at the finish, you'd have something not likely to pass inspection today. 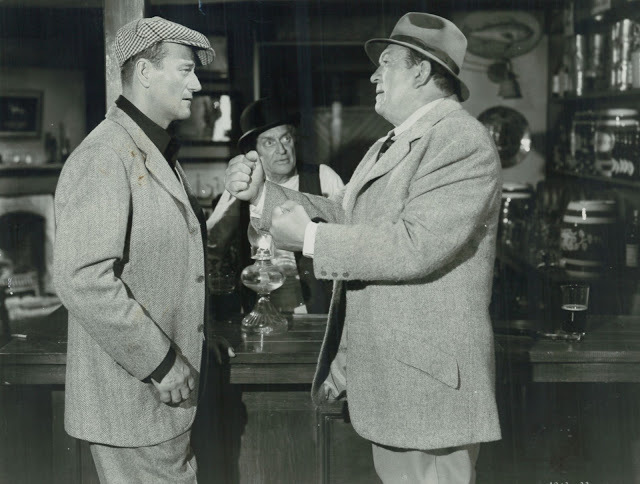 Still, it was The Quiet Man, an artifact few then could lay claim to possessing. Therein lay romance for collectors. Grief would understandably come with realization that 16mm prints would become as many guitar picks. I watch a little saddened as EBay bids for film plummet. Rare cartoons, shorts, and trailers hang on, some continue doing well, but features took the bobsled and are still aboard it. You could melt down much of this unwanted stuff like they once did with nitrate and not sustain too meaningful a loss (and yes, I realize many titles survive only on 16mm, like silent Kodascopes and Universal Show-At-Homes, and no, I wouldn't advocate disposal of IB Tech prints, as a few of them do at least equal, if not surpass, what's available on DVD). 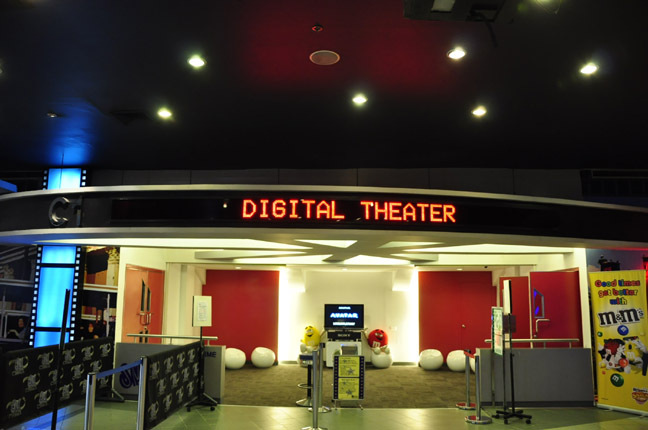 I'm all for the transition from film to digital in theatres. If presentation had been more foolproof all along, maybe not, but how many shows have we attended that weren't botched somehow in the booth? Look in trades and there are many diatribes over clumsy projection and ruined shows, going all the way back to an industry's start (Alex Gordon penned a doozy of a rebuke to exhibition in the 11/28/53 Motion Picture Herald). 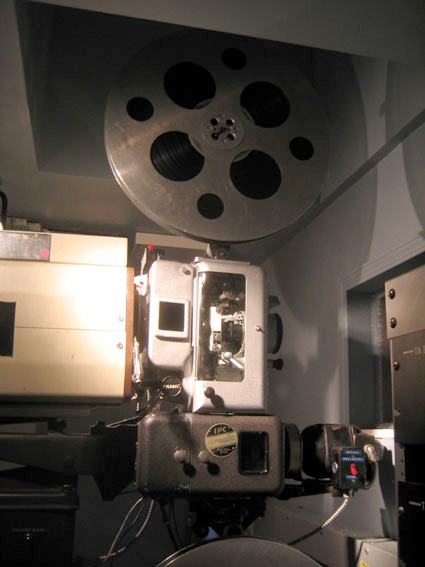 A projectionist friend told me that in all his years at the helm, there was but a single occasion when he made a perfect changeover from one 35mm reel to a next. That, of course, can never be an issue with digital, nor can scratches, splices, corner-to-corner focus, all those gremlins that came to call on seemingly every program I ever tried sitting through. Projecting booths always seemed medieval to me. How many more possibilities could there be for something to go wrong? Feeding thousands of feet of film through gears and claws strikes me as something that should have been fazed out years ago. Maybe a century plus is long enough for any technology to sustain, and what about all those 35mm prints they had to make in order to fill saturation dates? Within a month, they were useless. The movies being what most of them were, you couldn't even interest what was left of 35mm collectors to sneak in depots and liberate them. Talk about guitar picks! There is complaint that film's extinction is driven by merciless corporate mentality. True enough, but weren't they just as merciless in 1930 when industry agreement put paid to 70mm filmmaking, so soon after the silent era's relegation to scrap heaps? 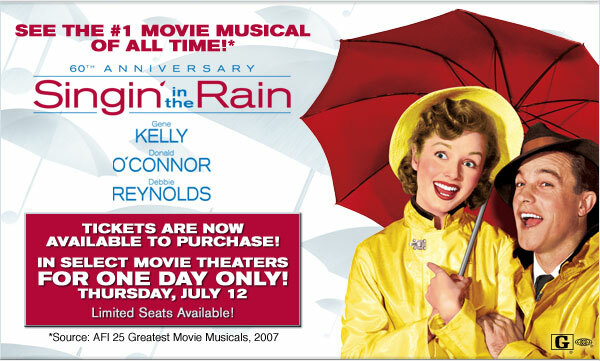 Corporate policy has lately enabled classic revivals to play on digital format in hundreds of theatres nationwide, the success of Casablanca and Singin' In The Rain offering promise of a new era for oldies in mainstream theatres (assuming technical glitches noted by some observers can be ironed out). I could never have envisioned Warners risking expense of five hundred 35mm Casablanca prints for a single-day's saturation, but with much lowered cost of digital delivery, such a plan becomes viable and worthwhile. 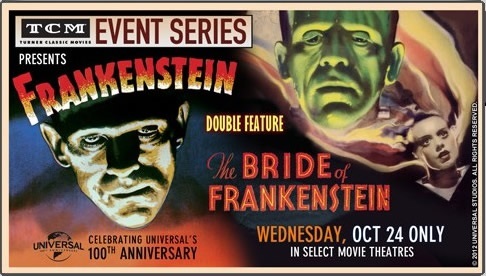 This series of revivals, at least a dozen more announced for the balance of 2012 and into 2013, seems to me to be the future for seeing classics with an audience (a Frankenstein/Bride Of Frankenstein is coming up October 24, to which I'll try attending). I haven't personally threaded film since the take-up reel of my Eiki Xenon froze and twelve hundred feet of Standing Room Only fed onto the floor. That's purely result of not having maintained the equipment, but where's incentive for that when digital can project a so much better image on the same screen? Admitted is fact I still can't get Standing Room Only on DVD or any streaming way, so of course there's justification to hang on to some film, but so much comes out on digital now to make it unlikely I'd see even half in what's left of a lifetime, so why fret unduly over Standing Room Only or any title as yet unaccounted for? Film is still useful as a mode of preservation. Nothing's so impermanent as digital storage that goes obsolete or disappears with the next power outage. But film as a tool of exhibition seems as washed up to me as horse harness and eight-track tape. Lord knows I live in a movie past, but not when it comes to picture/sound that can be so upgraded as with digital and its state-of-art presentation. I'm sorry in many ways to see film go, but delighted with the quality and wealth of content that has taken its place. Yes, yes, yes! Give me a restored digital movie, preferably in the privacy of my home on a nice widescreen, HDTV over celluloid in a theatre. The manager of the Film Forum in New York is a solid digital convert concerning old and new movies alike. My only problem these days is that TCM's broadcast signal is now all-digital like HBO, thus making it impossible for my old DVD recorder to capture its movies. Is Tivo the answer? Re: Alex Gordon and bad projection. 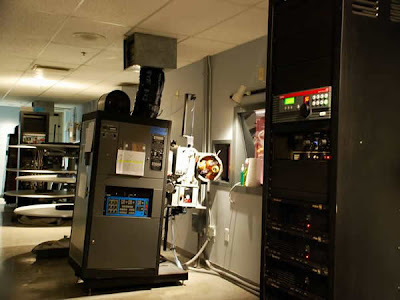 I learned when I took my 16mm programs on tour to bring not only my own projectors (audiences always asked why other programs did not look that good) as well as my own projectionist. That way the regular projectionist could read his comics or watch television. My guy watched out for me. John, I couldn't agree more. Digital is going to be (already HAS been) the salvation of classic films. As technology advances and we are now getting BD releases of films we never even thought possible just 5 short years ago ("Invasion Of The Body Snatchers", "The Wayward Bus", etc. 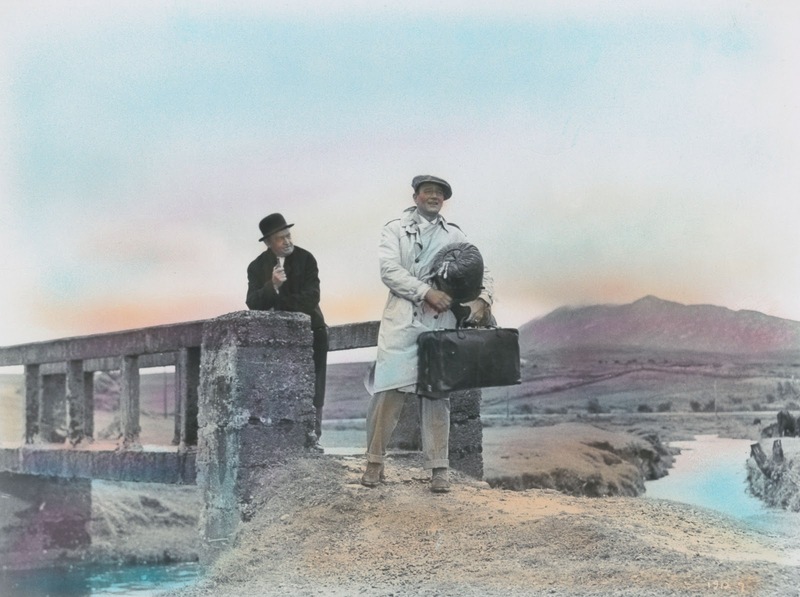 )we are entering an era of total "magic" for classic film lovers. 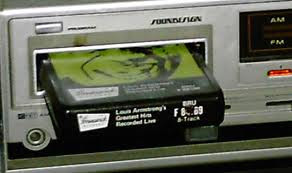 If ANYONE had told me when I was in High School (in the late 60's) when I was tape-recording everything I could think of off our old RCA-Victor TV set: "Hey kid, don't sweat it. 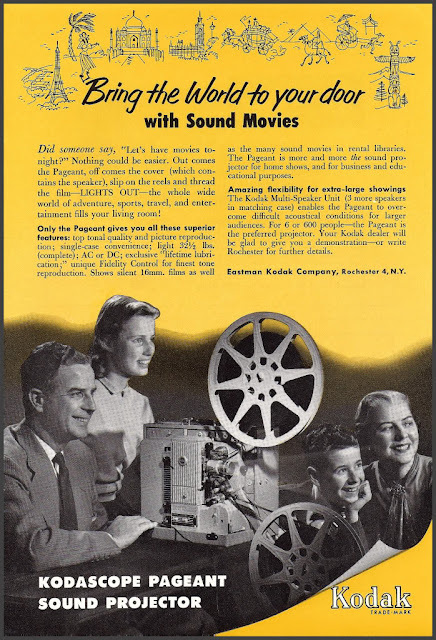 You will OWN "Ben-Hur" and "Journey To The Center Of The Earth" and they will look and sound better than they EVER have and you'll be able to see them any time you want in your own livingroom..." I'd have said they were crazy....but it DID happen. Digital is a miracle and this film-fan (me) is glad it did! I well understand and appreciate the appeal of new "Digital Revolution" in cinemas, however, from what I have read, the problem that really concerns most movie aficiondos is the demise of theatres whose proprietors cannot afford the conversion to digital projection. In most cases it is the smaller independant theatres and those cinemas surviving only by the devotion and generosity of groups of movie lovers, that are struggling to survive. It is apparent that many of these venues will close, causing even less of the population to have access to a cinema, unless some of the movie corporations provide assistance. You are preaching to one member of the choir with this bold 'blog'. 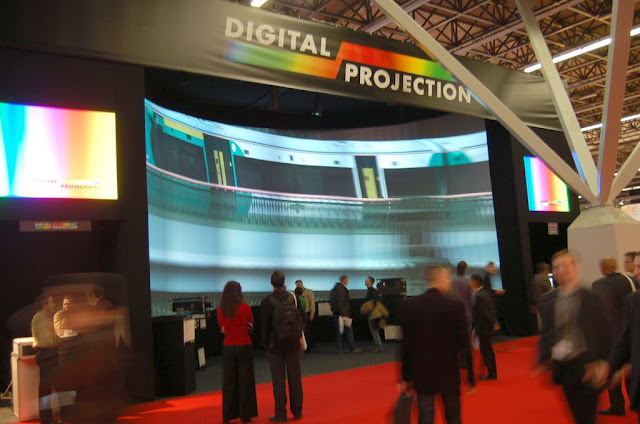 I've been a huge fan of digital projection as well as home video as soon as it matured into what we now call HD. 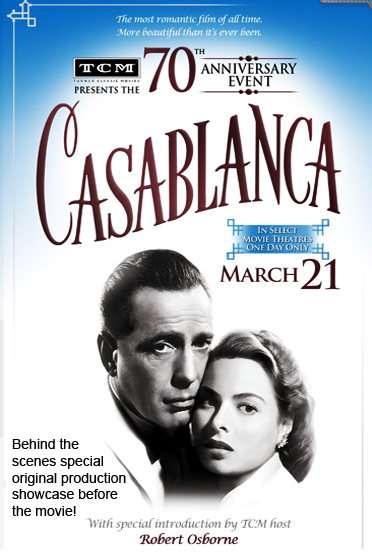 I was the 'first guy on my block' to rush out and get an HD-DVD player (insert sound of whoopie cushion, since I didn't go for the Blu-ray...as I'll explain), and saw "Casablanca", an early acquisition, in all it's astonishing restored clarity. (I'm told the recent 60th Anniversary version is ANOTHER transfer that bests the original one WB used for the dual HD-DVD/Blu-ray release.) I went with HD-DVD because, as nobody cares today (and I can't blame them), HD-DVD was the format that took the plunge into 'classic' cinema, while Sony and Blu-ray concentrated on T&A comedies for kiddies, action jackoff movies, and basically what we see released by Hollywood today! It wasn't until---well, I didn't keep a diary, but it felt like almost a year later that Blu-ray began to delve into anything older than about six months ago, in the titles they released. Ironic that they 'won', however it's also true that the "best man won", as the encoding possible on a Blu-ray disc is apparently better than that on an HD-DVD, and the discs are physically more robust. I'm sure a true 'techie' would be able to furnish all the reasons it's good they won the contest, although it must be remembered that the basically won because Toshiba, the company that had HD-DVD, just...gave up! They dropped out--pure and simple. You hit all the notes--digital is the perfect presentational device. NOT, at present, the solution for archiving, and for that we're still waiting (apparently) for the Holy Grail of granite-reliable technology, although the buzz is that film (what an irony) is present the best 'device' upon which to archive our most treasured recordings and images. That leaves us at home a bit in the lurch, but I'm sure something will eventually 'break' that'll enable us to be able to dependably store our digital info. Thanks for putting all your thoughts and your usual fearless and sensible opinions 'out there'. At this point I am truly surprised that this is still in any way whatsoever 'controversial'. I think you make the point that this is simply...BETTER. 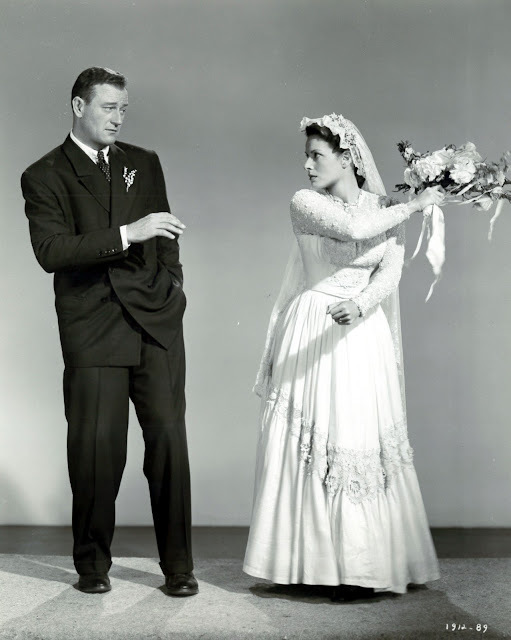 I think that point may be made all over again if and when the people at Viacom provide a decent source for "The Quiet Man" and Olive, which is scheduled to release it (unfortunately...! I'd hoped Paramount was going to), puts it out on Blu-ray. I saw this in "an original 35mm Technicolor IB print" in the '70s, and it was simply gorgeous. The Republic Home Video version(s) on laser and DVD were and still are a mockery of the way it looked. I pray that when this reappears on Blu-ray it will convey some of the virtues of that glorious 35mm Tech print I saw that long-ago evening in Hollywood. There is no reason, except cutting corners, that this could and should not be the case. If it is NOT everything it ought to be, the fault will not be digital technology. Anyone who's seen WB's "Wizard of Oz", or Paramount Home Video's "The Ten Commandments", or Universal's "All Quiet on the Western Front" (or even the recent fan favorite "Abbott and Costello Meet Frankenstein"! ), knows that at its best, digital representations of Hollywood's finest are beyond criticism. One company who does EVERYTHING right is Disney. Their many classic animation films have all looked and sounded spectacular. But what about all the theaters that are going out of business because of the astoundingly high prices to convert to digital? You can't have such a blase' attitude about that, can you? Great essay, John. You don't usually editorialize for 100% of the post - except for book reviews, of course. ;-) Nice job. Although it predates your post by nearly a year-and-a-half, consider it an equal time rebuttal. Besides being a great column it was also quite thought-provoking. You mentioned that "Many collectors and lifelong film gatherers felt themselves discarded along with precious footage to which so much effort and expense had been devoted", it made me wonder what really will happen to the precious footage with these collections? Will any "lost films", discarded outakes or deleted footage emerge as these collections "end"? At the audience end, it's pretty much all gravy (although experiencing movies with an audience is waning, what with all the ways to pipe them into your home or even your smartphone). What's going to be missed is when filmmakers used actual machines that they had to understand, and were forced to deal with its limitations and the limits of what they could stage in front of it. Artistry was finding ways to manipulate what the camera saw, and framing it in such a way to manipulate the audience. Modern filmmakers can't just dismantle a camera the way Buster Keaton did to understand the technology. They need extensive technical knowledge to use the available tools; but it's the difference between composing music on a computer and actually playing a violin. I'm grateful for all these pristine treasures on DVD. But I'm also grateful they had to use faintly magical miniatures and better-than-real matte paintings instead of hyper-naturalistic digital creations; that the Tin Man and the Cowardly Lion weren't guys in motion capture suits; that Harryhausen's creatures moved they way they did; and that Keaton took the falls, not a CGI avatar programmed for impossible quadruple flips. Yes, I enjoyed "The Avengers." At the same time, I'm glad "Superman" had to fly on wires. For the record, I also miss newspaper adventure strips, record changers and the Wonderful World of Color. Based on years of movie presentation, both film and digital, here is the solution for the small independent exhibitor to convert to digital. Instead of dealing with outrageous $50k-70k cost of professional hard-drive projection units, buy a high-output (over 8000 lumen, DLP) projector and DVD players (approx. cost under $18k) and with proper cueing show SECOND RUN and/or classics. New movies go to DVD within a month or two of first run, so what is the problem? I'm so happy with the thousands of titles beautifully transferred to DVD that look great on a theatre screen. I've been running them for over 6 years in theatres! For a collector or hobbyist, film was outrageously expensive, hard to find in really good prints, difficult to focus in 8 or 16mm and subject to vinegar syndrome, which made your investment worthless! On top of that it is now legal to buy these beautiful, sharp transfers for home use--or pay the film companies for theatrical showings. No more heavy prints to ship back and forth either! Thanks much to all these voices of experience in areas of revival screening and comparison of film vis a vis digital. You've all been in the trenches and are well qualified to address changing times we're in. As for myself, I'm just glad to be living in what I consider to be a Golden Era for vintage film enjoyment, which the digital transition has made possible. If Judy's Vicki Lester was "Born in A Trunk," then I was literally born in a booth (projection). My family owned and operated the two drive-in theatres in my small home town, and for my first ten years, I spent more awake time at our drive-ins than I did at my house. I also went to bed in our car's back seat many, many nights only to awake in my bedroom the next morning wandering how I got there. Around the age of seven or eight, I found myself wandering into the projection booth at our Villa Heights Drive-In Theatre. I'm sure projectionist Glenn wasn't thrilled to have to "babysit" me, but since my family signed his paycheck every week, he was a good sport about it. 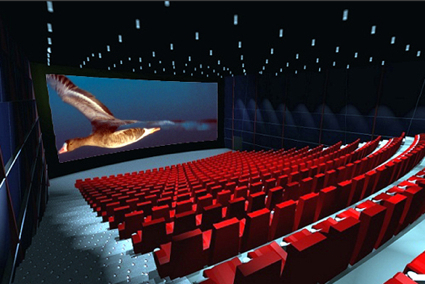 I became totally fascinated with the entire concept of how movies were projected. Glenn was like a god to me, since he was the man who put the picture on the screen every night. I love him to this day. By the time I was nine or so, I had talked him into trying to teach me how to thread up a show, and eventually I reached a movie milestone in my life when I made successfully my first change-over. I considered that the equivalent of a young lad's first sexual conquest with a fair damsel. That would happen a bit later, oops, I got off the subject. I loved 16mm collecting, including the countless hours spent at the work table. I once got at one time, not one, but two complete sets of I LOVE LUCY from a TV station. Edits had been in every print, and stupidly, the edits had become dumpster filler at the station. So I went through both prints of each of the 181 episodes and seamlessly cut together a complete print of each episode. HOURS spent, but at the time, I felt it was worth it. I thought I was the luckiest guy in the world being neck-high in 16mm film. Then in 2000, I walked into that same Columbus room at Greenbriar John's side. Seeing that same Chaplin image, John's and my eyes met and incredibly at the same moment, we both said to one another, "It's over." 16mm liquidation began the very day our plane landed back home. 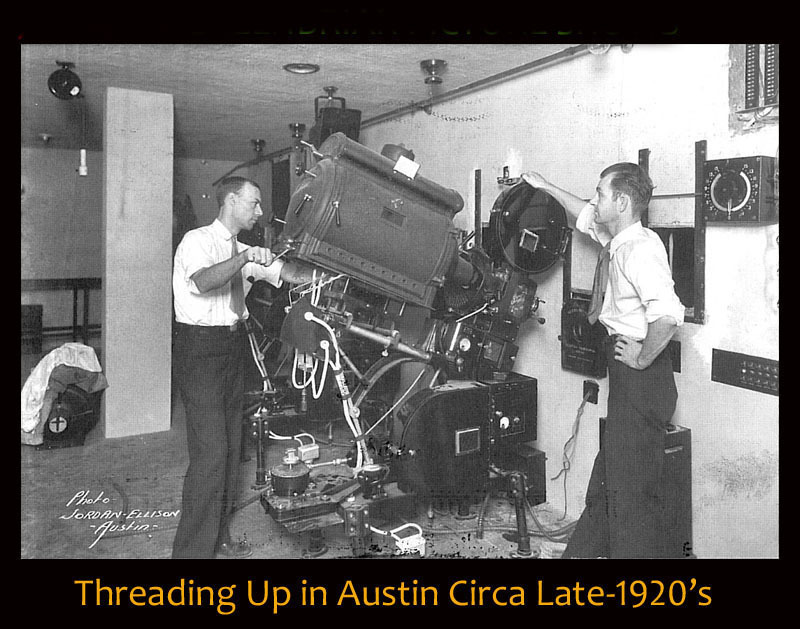 This process took a number of years to complete, so it wasn't a "cold turkey" exit, but every time I acquired a DVD of a film print I had, and a comparison was made in the DVD-projected theatre I had installed, it wasn't painful at all. For me, I had made the right decision. And as silly as this may sound, today in my garage, I have an automobile instead of rows and rows of heavy shelves filled with movies and TV episodes. It was fun in its time, but it's a new day. This from someone who many times carried heavy metal film cases containing the 13 2000-ft. reels of GONE WITH THE WIND up winding steps to a projection booth. Today I can hold that same movie between my fourth and fifth finger. I have no problem with digital reproduction of classic movies. I'm all for it. However, I continue to add to and maintain my collection of 16mm/35mm films. My collection is devoted to short subjects, and much of what I own has never been, and likely never will be, available in a home video or digital format. I have no problem with getting rid of film prints of items that ARE available digitally, but too much of what I own isn't, and I'm not inclined just to toss it all in a dumpster. ... thank you. I have been a photographer for forty years. I am annoyed with people who bemoan the demise of 'film'. Digital is much better. Agreed, Marc. I kept some of the cartoons and shorts on 16mm that are less likely to be released on digital, or at least haven't been so far. As I mentioned in the post, EBay prices for 16mm (other than features also available on DVD) have maintained their value and still command a good deal of interest. At least that's been my observation. A lot of two-reel comedies, especially, don't even exist other than on 16mm, so I'm glad there are collectors still in pursuit of them. Another thing I'd say in favor of film collecting. No two prints are identical. Any experience I've had viewing 16/35mm has been unique and memorable. Much as I'm impressed with digital, I really can't say THAT about watching it, however flawless the picture/sound. Maybe there's such a thing as too much perfection. Reminds me of contrasting sensation when I see stop-motion by Ray Harryhausen vs. modern CGI effects. CGI might impress, but there never could be any substitute for Ray! Want to say thanks here to Mike Cline for his very interesting and detailed comments. Mike was for years the owner/operator of "Thornhill Entertainment," the leading source of rare 16mm film for collectors. Mike's well qualified to address this subject from film's standpoint, and observations he shares are much appreciated. This point has been alluded to above but one advantage of an analog medium like celluloid film, in theory, is that it is less prone to the sort of catastrophic failures that seem inherent to digital media. I don't attend enough digital presentations in theatres to know how often this happens but it seems likely that rather than see an occasional scratch, modern audiences are going to become accustomed to their viewing pleasure being interrupted by unfixable blank blue screens with the words "corrupt file error" or the like. Also, I'm going to go way out on a limb here and guess that, on average, many digital projectionists in the modern movie theatre are going to be at least as inept and clueless when it comes to fundamental projection issues as compared to the worst of their analog-era predecessors. You are making some big assumptions here. One is that the precious original film masters will continue to have value and be preserved. Film will be lost and the digital copiesd will go thru generations of change--just like so much of what we writers put on floppy discs and find so hard to access now. I fear the result will be the evolution of way too many formats...and finally, chaos. I still have a lot of my old writing on 5 1/4 inch floppy discs. Try and find a reader for them now. I agree this is an opportunity to spread the exposure of classic cinema for a modest digital investment in discs, postage, etc. John, I enjoy your well-written postings (as always) and agree with your basic premise; at this point, digital vs celluloid is comparable to1928 in talkies vs. silents. Are digital formats, especially Blu-Ray, great for home viewing? Sure. Will I still enjoy our local San Francisco Silent Film Fest or Noir City extravaganzas if gorgeous super souped-up HD replaces all 35mm? Yes. However, I don't think it's possible for me to get the fun factor of doing shows with an audience entirely out of my system, and the 16mm Short Attention Span Theatre programs I particularly like (trailer-obscure cartoon-Soundie-bloopers-1955 commercials-bizarre 1920's or 1930's one-reel comedy short, etc.) cannot be easily replicated on DVD, unless you have a veritable armada of HD players. . . Dang it, this showman stuff's in the blood. I saw CASABLANCA in a theater on its 1992 50th anniversary reissue. The film started. The Warner Bros. logo came up, the music swelled, and there was an abrupt, nasty splice to a quick glimpse of the CASABLANCA title card as it dissolved to the cast card that follows it. Unfortunately, that set the tone for the print we saw. The first twenty minutes or so was a mess of bad splices that sometimes left noticeable gaps in the film. The print's condition improved after that, comparatively speaking, but it remained overall pretty bad. Now keep in mind that this wasn't a one-off showing in an obscure revival house. This was a nationwide reissue that placed this film in theaters all over the country. I have a romantic attachment to film. My father was a career projectionist and a collector, so I grew up around film. 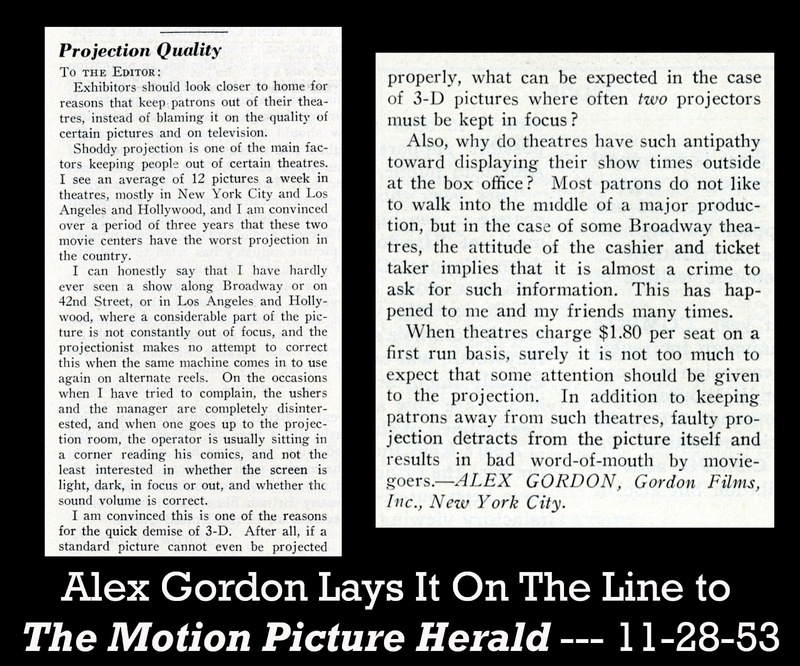 Practically speaking, though, I love digital projection. Bring on digital! To be fair, though, it occurs to me that two or three years ago I took my daughter to a one-night-only digital presentation of THE WIZARD OF OZ at a local theater. As I recall, Warner was showing off their new Ultra-Resolution OZ restoration. That was a thoroughly bad presentation. The most disastrous experience with digital I've ever seen. The picture locked up regularly, the sound simply went away, the screen went black from time to time, and no one at the theater seemed to have a clue what to do about any of it. Maybe it was because the technology was so new at the time. That said, though, yeah, I'm still firmly on the side of digital. Mike Cline was among the top people I acquired 16mm prints from. I knew from the first print I got from him he could be trusted. Between Mike, Charlie Vesce and Ron Hall we had the best of all worlds. Other folks were good. These guy were always great. As the current owner of more than one print from your liquidated 16mm collection, John, I have to confess to a certain nostalgia for the format; part of me says that all things being equal, there's nothing like a good 16mm print. But another part, the sensible part, always retorts that "all things" are almost never equal. I own an absolutely flawless 16mm of Down to the Sea in Ships (Hathaway '49), struck in 1981 for Twyman Films -- and, I suspect, never screened even once before I bought it six years ago. I cling to faith that it'll one day be recognized for the masterpiece it is and a Blu-ray will be along. But until that time, I live in terror of the day I have to put a splice in it, or my projector drops a careless line or scratch or (horrors!) frame-burn into it. There's no such concern with digital; all you have to do with a disc is remember not to play frisbee with it. And it's exactly the same every single time -- no fade, no color shift, no vinegar syndrome. When I set up my Epson HD projector for home screenings, I still sit beside it as I do with my 16mm Elmo. But it's because I like the view from back there, and I can leave the couch free for my guests to enjoy the movie in comfort -- not because I have to be there to keep an eye on it every second. In a way I guess I sometimes miss the clatter-and-hum of a 16mm projector -- but in the same way I "miss" the in-and-out crackle of an AM car radio. Last night, saw Alfred Hitchcock's THE BIRDS in a movie theatre for the first time since it was released in 1963. The flawless digital presentation of these "vintage" movies these days is beyond belief. THE BIRDS didn't look anywhere as great when it was brand-new movie as it did last night. I strongly suggest your attendance at one of these TURNER CLASSIC MOVIES special shows in the near future. Even High-Def or Blu-Ray at home on large flat screen TVs can't come close to seeing these pix on a theatre screen. Of course, that's the same selling point theatres tried to make in the early 1950s when TV came along. But it was true then and is true now. And Reg - I appreciate your kind words. It was, indeed, a fun time. As the demand decreases for its use film is going to become a super expensive medium on which to record. As well the equipment to project and/or use film is going to become more difficult and expensive to operate. The demand of people who can service that equipment will also decrease so that it will wind up in a state of ill repair.